SAN MARINO — The California Aiseki Kai presents its 25th annual show, featuring more than 100 outstanding examples of suiseki and other viewing stones, from Friday, Dec. 26, to Friday, Jan. 2 (closed Jan. 1), at the Brody Botanical Center of the Huntington Library, 1151 Oxford Rd., San Marino. 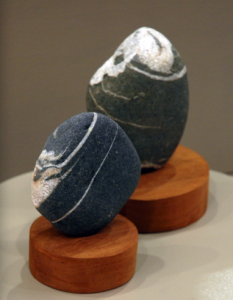 Practiced in Asia for centuries and gaining popularity around the world, the art of viewing stones invites contemplation of the subtle, often fanciful forms that have been shaped by nature, the elements, and time. The show is included with general admission: $20 weekdays, $23 weekends for adults; $15 weekdays, $18 weekends for seniors (65+); $12 weekdays, $13 weekends for students (12-18 or with full-time student ID); $8 every day for youth (5-11); free for children under 5; $11 weekdays, $14 weekends per person for groups of 15 or more. Hours: 12 to 4:30 p.m. Monday, closed Tuesday, 12 to 4:30 p.m. Wednesday, Thursday and Friday, 10:30 a.m. to 4:30 p.m. Saturday and Sunday. For more information, visit http://huntington.org.